End of the summer, 1939, and as the world headed for war, Babe Siebert was back home in western Ontario in the little crossroads village of Zurich, where he’d grown up. At 35, Siebert the younger had played the last game of his monumental NHL career in the spring of the year, March, going out as captain of the Montreal Canadiens as they lost in the first round of the playoffs to Detroit’s Red Wings. Slowed, in his final season, by a wrenched back, he’d scored the last of his NHL goals in February against Toronto. Once, as a Maroon in Montreal early in his career, he’d plied the wing, joining Nels Stewart and Hooley Smith on one of the league’s most feared lines, but he’d finished up on defence. Lending his experience to guide the Canadiens, too: when, midway through the season, the Canadiens fired coach Cecil Hart, after Frank Boucher and Herb Gardiner were said to have turned down the job, club secretary Jules Dugal took up the team’s reins with Siebert as a playing assistant. There was talk again, after the season, of Frank Boucher taking over the team, or maybe Bun Cook? But most of the betting was on Siebert, who was indeed named to the post in early June. In August, on the occasion of his father’s 80th birthday, Siebert travelled west to Zurich from Montreal with his family. A month still remained before the Canadiens would gather to train for the season’s start in early November. On this day, August 25, 1939, newspapers bore dispatches of imminent war in Europe. U.S. President Franklin Roosevelt was appealing to Adolf Hitler to back off his threats to Poland; Pope Pius XII asked the world to pray for peace. Babe Siebert took his daughters for a swim, Judy, 11, and 10-year-old Joan. Lake Huron wasn’t far, a few miles to the west. Siebert was there with his girls and two of his nieces, and his friend from Zurich was with them, Clayton Hoffman. One of the children let go of an inner-tube and when it began to float off, Siebert called the children in and went after it himself. He was 150 feet out when he got into trouble. Miss Burnette Mouseau of Zurich was sitting in a car on the beach and she raised the first alarm. Hoffman ran to a nearby house to seek aid. Would-be rescuers dove down to search at the spot where Siebert was last seen, but he was gone. Eventually, a fishing boat was summoned from Grand Bend to help in the search. was It was three days before his body was found by his brother, Frank, on the lake’s bottom, about 40 feet from where he’d vanished. News of the death filled front-page columns in the next day’s newspapers. As a player, he’d twice he helped steer teams to Stanley Cup triumphs, and he was three times an all-star. 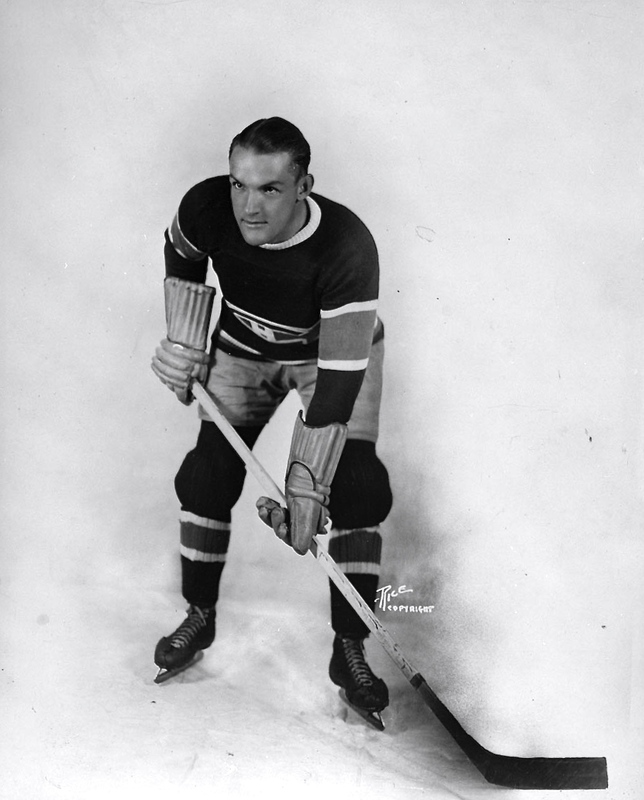 He was supposed to be finished after an underperforming season in 1933-34 with the New York Rangers, washed up, but he went on to Boston, where Art Ross was the one to put him on defence, where he thrived. There was no better pairing than Siebert and (Eddie) Shore in the mid-1930s. He wasn’t bad in Montreal, either, when he went back to join the Canadiens: his first year there, 1936-37, he won the Hart Trophy as the NHL’s MVP. He was remembered for his skill, drive, and — well, nobody enjoyed playing against him. He gave all he had every second he was in action. He fought and battled hard himself with every ounce of strength he possessed. And because he played hard himself he expected the same of everyone else. He yelled encouragement to his teammates, swore at them if he thought it necessary. He was a rallying-point in a losing cause: an inspiration in victory. Many a time he has enraged his teammates by his remarks in the heat of action, but it only served to make them more mad at themselves than at him, and they took it out on the opposition. And in the dressing-room afterwards, it was all forgotten. No one ever reproached him; he never mentioned it himself. Perhaps his legs didn’t have the old drive that made him a feared member of the most dangerous front rank of its time — the famous Three S Line — but the Babe still had the heart and he still had the will-to-win. 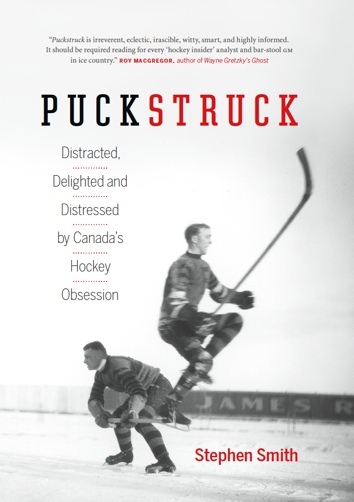 Even when injuries and the infirmities of hockey old-age — he was only 35 — kept him on the sidelines, the Babe still used to keep his team fighting, banging his stick on the side-boards, shouting in tones that could be heard throughout the rink, arguing with referees. They buried Babe Siebert on August 30, the last Wednesday before the war broke — which is to say, the peace. Mourners at Woodland Cemetery included Canadiens teammates Wilf Cude, Walter Buswell, George Mantha, and Toe Blake. Kitchener’s own Boston Bruins were there, Bobby Bauer, Milt Schmidt, and Porky Dumart, along with other NHL locals in the Leafs’ Bing Kampman, Ott Heller from the New York Rangers, and Chicago’s Earl Seibert, a distant cousin. Hooley Smith was there and so was Cecil Hart, and Pete Lepine and George Hainsworth, Jimmy Ward and Carson Cooper. Busher Jackson came and so did Conn Smythe from Toronto, and also Lester Patrick of the Rangers. NHL president Frank Calder made the trip from Montreal. is a household word in the hockey world. He was a good little sportsman as a child in the village of Dashwood. He was a good little sportsman as a boy in his hometown of Zurich, where he learned his hockey. The city of Kitchener found in him a young champion who did his share to bring the honour of a junior championship here. The professional teams discovered in him one of the best, who did his best and gave his best. Finally the Canadiens honored him with the highest position of coach, and we have the confidence that he would have proved his worth in that capacity.